Attending were: James & Jane Press, Ben and Gene Sargent, Tyler, Jennifer and Wyatt Johnson, Don Paige and Beth Doan, Bill and Belinda Beck, Raymond and Chrysti Love, Larry and Karen Rose, Johnny and Joyce Pierce, Pete and Sharon Henderson, Richard and Sue Miner, Frank Turbeville, JJ Mooney, Tommy and Debi Goode, Pat Goode, Larry and Ginger Freeze, Doug Shomette, Richard Kesselus, Jerry Krenek, Jim and Katelyn Press. 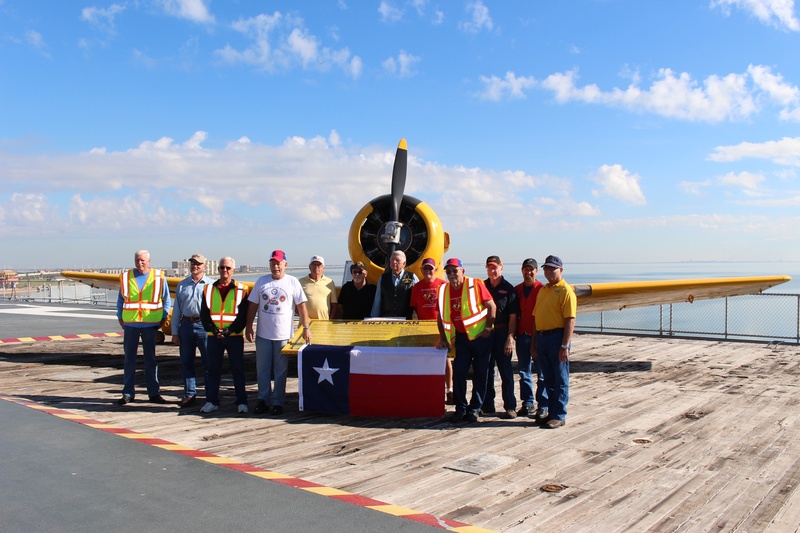 U.S. Veterans and Cushman members were allowed to board the USS Lexington in North Beach, Corpus Christi. The ship tour was hosted by Mike and Grace Patrick. Holidays are times of tradition, times of celebration. Christmas time gives us the opportunity to reach out to friends & loved ones to share peace, love and thankfulness. As guests began to arrive at the home of Raymond & Chrysti Love you could feel the magic and wonder of the season come to life. 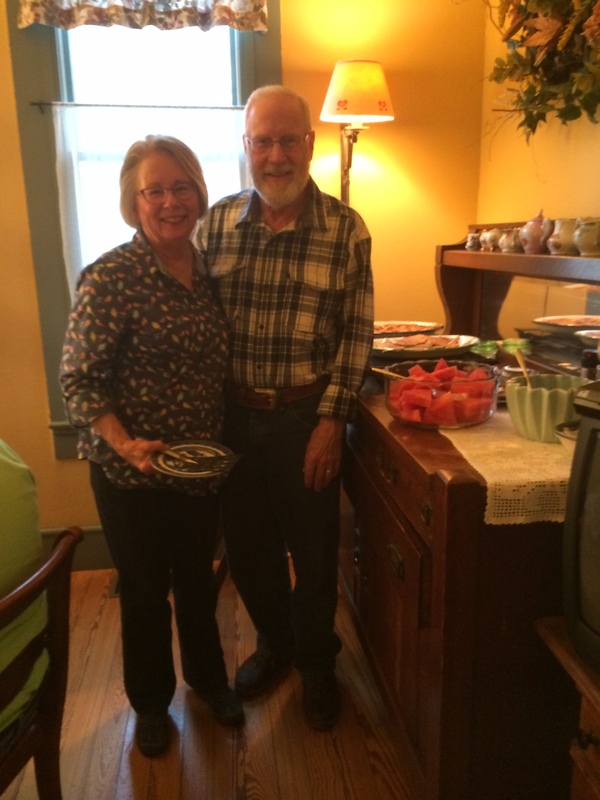 The Love’s provided a lovely festive atmosphere for the gathering of friends. As guest arrived the ladies brought their favorite holiday dishes to share with friends. Christmas gifts were placed under the uniquely decorated Christmas tree for the gift exchange game. 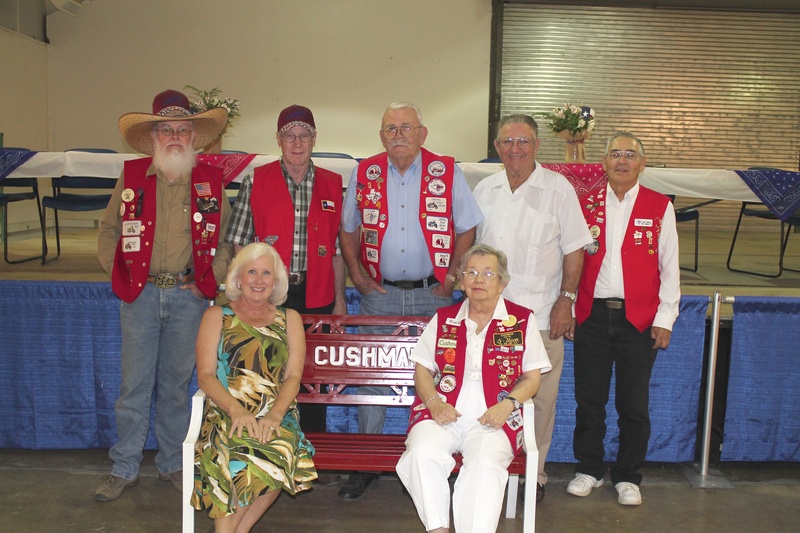 The abundant table of food was blessed with a prayer and guest enjoyed a meal fit for royalty. We all acknowledged how lucky we are to have found such wonderful friends through the love of a Cushman scooter. Let us never forget that this time of year is the time to do our best to wrap the world in joy and love. 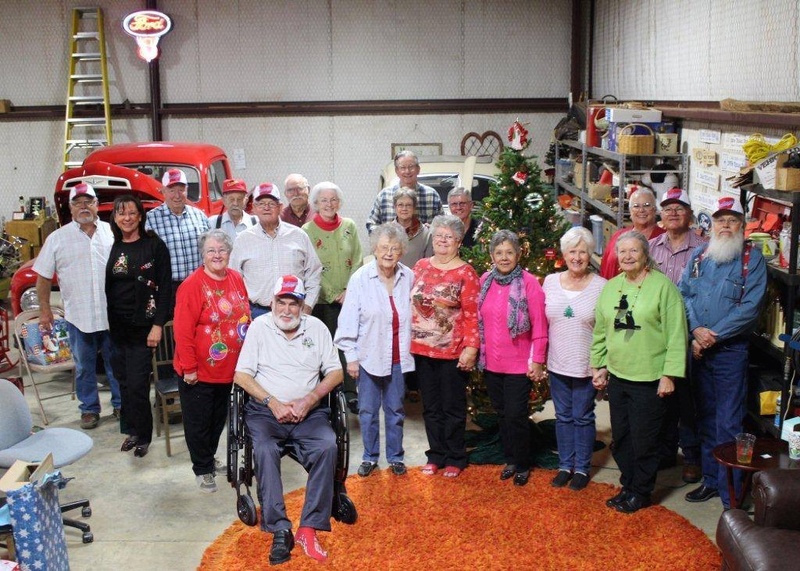 Attending this wonderful party in Lamesa, Texas were: Host – Raymond & Chrysti Love, Larry & Karen Rose, Don & Martha Stewart, Don & Judy Henry, Don Paige & Beth Doan, Ted & Eva Grishman, Martin & Jane Stafford, Ben & Gene Sargent, Bill & Belinda Beck, Les & Carolyn Turner and Delroy McCain. FRIDAY, OCTOBER 23, 2015: The Early bird dinner- riders/cars will depart from the Microtel parking lot at 6:30 PM for the short drive to Redfish Willie’s Restaurant (Dutch treat). SATURDAY, OCTOBER 24, 2015: Breakfast on your own. Depart from the Microtel parking lot at 9:00 AM for a ride thru Rockport, Fulton Beach & Goose Island State Park arriving at Charlotte Plummner’s for lunch. The ride continues across the Port Aransas ferry for ice cream and shopping in Port Aransas, returning to Microtel in the afternoon. Dinner on your own. The Ride will be at the South Llano State Park. You need to make your own camping reservations for the Park by calling Austin 1-512-389-8900 or going online at http://texas.reserveworld.com/. Other RV sites and several motels are available in Junction. 10:00 a.m. Ride leaves from Kesselus Place. We will eat lunch at noon on the ride. 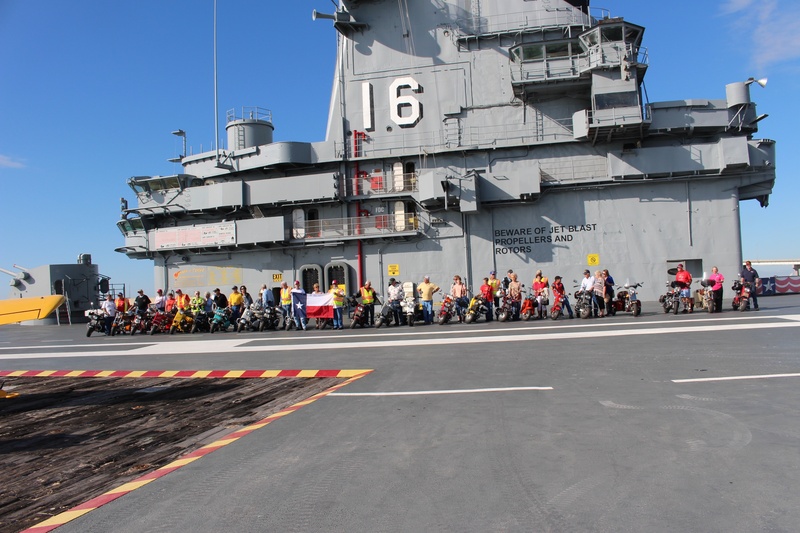 Saturday 8:00 a.m. Ride Leaves from Kesselus Place We will eat lunch at noon on the ride.